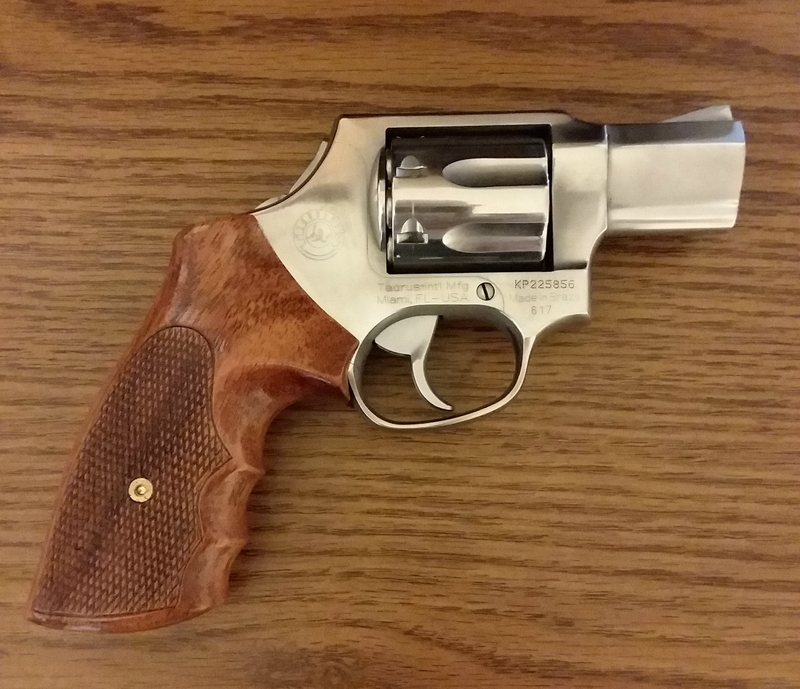 I was hoping the wood grips sold by Jaruwan on ebay, in Thailand were going to fit my Taurus Model 65 even though it said S&W only, and sure enough they don't fit. I guess I have to drill a hole in the wood grips to match the knob in the grip area? Last edited by vboy36; 04-02-2019 at 05:17 PM. vboy36, jimb1972 and Bruntson like this. I got wood grips from him for my TAURUs M65. They fit perfectly and look great. Thanks Marquis, for some reason i did not see the Taurus wood grips the first time i ordered. Saw them tonight and ordered right away. 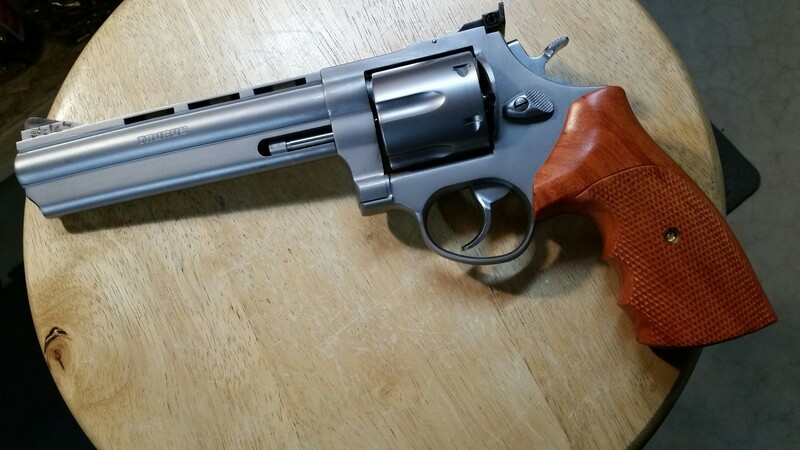 I ordered a set of wooden grips from Jaruwan for my vintage 2001 model 970 Taurus in 22lr. Also, I ordered a set for my vintage 1984 Redhawk in 357. For the price, I'm pleased with the grips. MOONDAWG, nevadabob, djh and 1 others like this. vboy36 and nevadabob like this. Jaruwan grips fit perfectly if ya get the correct model for your needs. My 82 is dressed-up nicely with Jaruwan grips. vboy36, nevadabob and MOONDAWG like this. He didn't take stock from the beginning. I've got no complaints with Jaruwan grips on my 617. Did not need to do a thing to them except put them on. 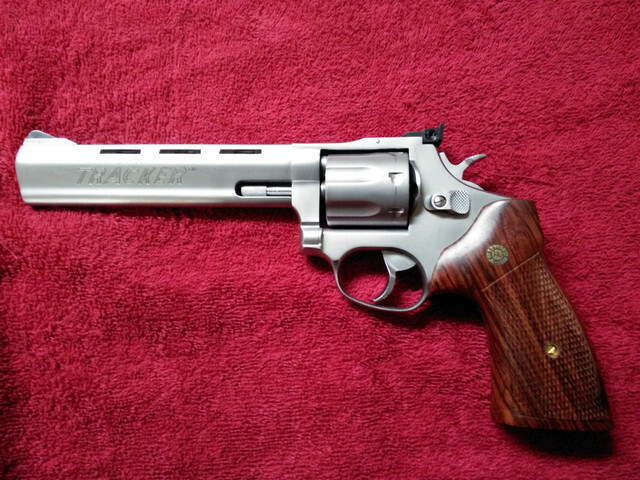 They really tame down those full load 357mag. cartridges. MOONDAWG, vboy36, texastaurusguy and 2 others like this. Wife stole my grips, where to replace 65/66 wood grips? 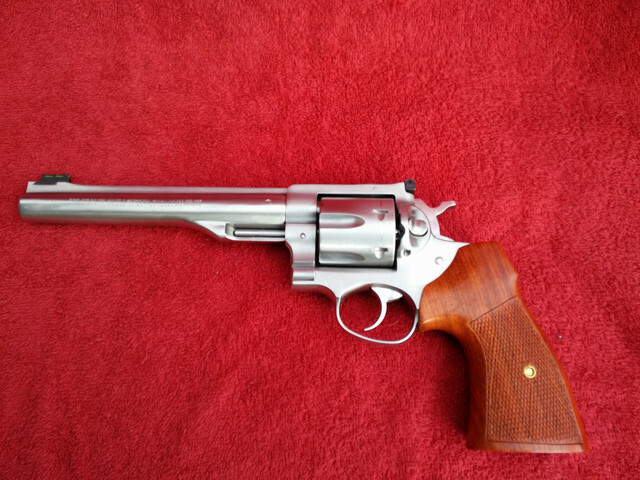 My new Model 65 .357 with proper wood grips!! !